My name is Jay Kracke. I am a highly experienced computer technician with over 15 years of experience in PC & Laptop Repairs and Servicing, Software, Hardware, Networking and Broadband support - and much more.... I offer on-site repair services and emergency call outs in Cheshire. 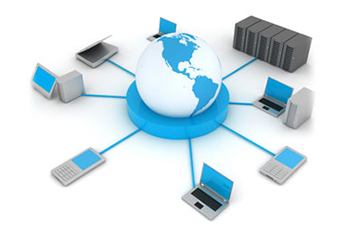 Based in Crewe, Cheshire "JCS" (Jay's Computer Services) are the ideal choice for Laptop, Netbook and Computer Repairs. 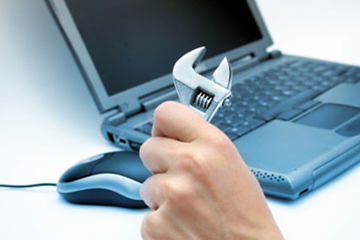 All Hardware and Software Repairs and Servicing undertaken and completed by an experienced technician. If it's a Complete Motherboard failure, BGA Reballing or, Graphic Chip Re-Seating, All our component level and electronic circuit repairs are completed to the highest standards with full warrantys. Other Services include Power Socket Repairs, Hard Drive Replacement, Data Recovery, LCD Screens, or your basic Virus Removal and Computer System overhaul and Service. Our Technicians are here to help and can give professional advice on Microsoft based PC's, Laptops and Apple Mac Systems. JCS "Jay's Computer Services" has defeated the worst kind of viruses. In 99% of cases there was no need to reinstall the operating system. We are up to date on the latest virus threats. Even with the newest ones, we’ll be able to remove them! We don’t only remove threats, we also make sure that you’ll be protected from dangerous malwares in the future. We specialize in Virus Removal Crewe, Cheshire on-site, at our premises or remotely across the world, at your convenience. Our service includes removal of: rootkits, virus amd macro viruses, boot sector worms, trojan horses and any other malicious software. If you have a problem with your computer network and you need IT support, but you don't want to pay extortionate fees, in fact you're not even sure about signing up for a fixed contract. At JCS "Jay's Computer Services" we understand this, we have seen people pay through the nose for IT support that is just not up to scratch; and we think it's unacceptable. We're turning the industry on it's head by offering fixed cost contracts, monthly contracts with no fixed long term tie-in and even a Pay-As-You-Go service that is payable by the hour. Please remember that we want to fix your computer network problem first time, because otherwise it starts to cost us money. DON'T DELAY - CONTACT US TODAY! PC computer repairs, Maintenance work, Computer upgrades, New computer installation, Laptop repair, Broken laptop power adapter plug repair, Virus/Spyware/Malware removal, Remote Access repairs/assistance, Install Anti-Spyware/Virus/Spam Software, Fix computer game problem, Setup All-in-One Printer (w/ Fax, Scanner, Copier), Data recovery from dying or corrupted hard drives, Setup Email (Outlook, Windows Mail, Thunderbird, Webmail), Resolve Email problems, install spam filters etc, Remote services, Setup Internet Connection, Optimize Start-Up Settings, , Perform PC Health Check, , Improve Internet Browsing Speed, Apple computer, iPod & iTunes help, Linux (Ubuntu) installation & help, Setup continuous backup system – including hardware, Install any new software, Consultation and Buying Advice, Windows Vista troubleshooting, Mobile phone/Bluetooth synchronization, ASUS EEE PC Microsoft Windows XP installed, Data recovery from memory cards (USB, Flash etc), Computer build to order, Setting up remote access to your computer, Genuine Windows installed... and much more. I have been using Jay for all the past year. Any time I have a problem, Jay is at the end of the phone to guide me through. I highly recommend Jay as a professional person who will do an excellent job for you. MANY THANKS for the fast, efficient and friendly service in repairing my laptop..... I will certainly use your services again should the need arise. HI Jay! Just a quick note to say thank you for sorting my PC out.....I've managed to fight the kids off long enough to have a go myself and it's running better than ever (which probably goes without saying, but I thought I would anyway!). Thanks again. We can solve all your computer problems! © 2013 Jay's Computer Services.